Dr. Clagett had a website he wasn’t happy with. It wasn’t inspiring him and he didn’t think it was inspiring or uniquely helpful to visitors to his website. He needed a website that reflected who they are. He wanted the website to be written to help visitors in their buying process and use the principles of StoryBrand. He wanted to incorporate images from his practice and he wanted the website design to look fantastic. He wanted to make sure that the website was mobile friendly. Dr. Clagett also wanted to be able to the website to be able to handle referral forms and new patient forms. All of the forms had to be HIPAA compliant and they needed electronic signatures and to send PDF forms to his admin staff, once they were complete. 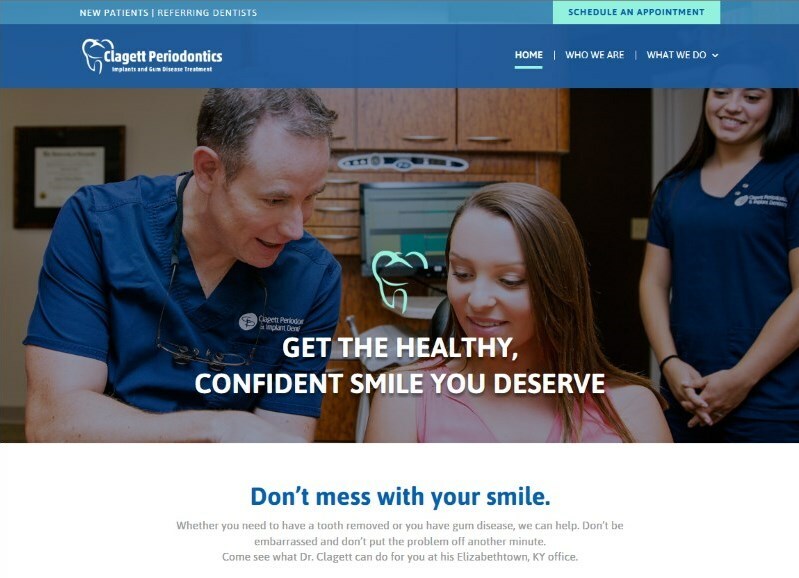 Elevate99 provided Clagett Periodontics with a website that has a premier website design and is mobile friendly. The new patient and referral forms have been adjusted to provide them just what they need to be effective in the office.